I love railroad heritage sites and history ever sense years ago I had a contract to do an inventory and analysis of all the RR heritage sites in Ohio. Saw everything from a one-coach outdoor display to depots and even on to seasonal train ride experiences. 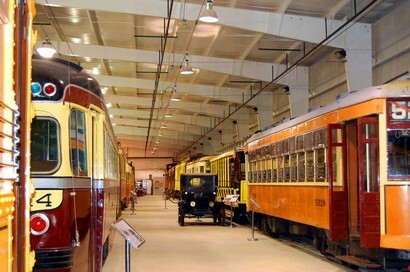 Even did training for staff at a Trolley Museum in PA. Working in the UK for years, I took the trains everywhere in the UK to meet with clients. As we've had a number of requests for proposals for RR relates sites, I thought putting together a new course on how we do our RR Heritage Site Interpretive Plans, especially to help the many volunteer groups who want to develop an interpretive plan to help with grant writing. As with all of our courses you can start the course at any time and work on the course at your own pace. You can even work on this course as a team of participants working on a RR Heritage Project. 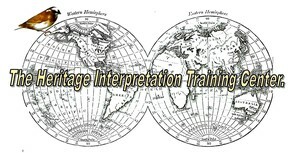 Tuition includes our Interpretive Planning e-Textbook, handout materials, Completed Interpretive Plan for references, and, as an e-LIVE course, chatting with the course instructor as needed by phone, e-mail or SKYPE. The course instructor will walk you through your interpretive planning project. Unit One - Project Needs Assessment. For this first unit we need to determine what your planning project will cover or involve. Will the plan be for a depot museum, outdoor displays of trains and engines, live RR ride experiences, or larger more formal railroad museums? This needs assessment will help us determine just what kind of interpretive plan you will need - i.e. Scope of Work for your planning. Unit Two - Review of the Model of Interpretive Planning. We start all interpretive planning courses with an introduction and review of all the steps involved in developing an interpretive plan for any interpretive site or resource. Based on the content of the model the rest of the planning process will follow the steps in the planning model. This unit also includes a general outline for content and organization of your interpretive planning project. Unit Three - Focus workshop/theme, sub-themes and objectives. This part of the plan focuses on what you want the total interpretation for your project to illustrate (main theme) and accomplish (learning, behavioral and emotional objectives). Unit Four - Developing your story line outline. What topics and topics, based on your theme and objectives, will you offer, and how will the topics be linked to your sub-themes and main interpretive theme? Unit Five - Your market analysis. Who are your current market groups? What market groups do you want to add? What are the kinds of experiences you feel that your visitors want that you're not offering? How will you customize exhibits, programs or activities based on existing or future market groups? Unit Six - Resource analysis and inventory. This part of the planning course is where we work to focus on your project. Will the plan be for a depot museum and exhibits, outdoor exhibits, live guided programs, formal larger museum exhibitions, or total site (including everything) interpretive planning. Unit Seven - Story Development Planning Form Sets. Based on your resource analysis, this is the longest part of interpretive planning. Here we (you) figure out exactly where and how you want to do interpretive improvements, develop new interpretive sites or opportunities, develop or upgrade new exhibits, and just what interpretive media you will want to add to your site interpretation. A copy of a completed interpretive plan will be provided as a guide as well. Unit Eight - Implementation and Phasing Matrix. After your plan is completed (all your planning form sets and media needs determined) you have to have $$ to pay for everything. So the matrix is where you post what each of the individual planning form sites will cost, and when you want to phase in (fund or write a grant for) that media mix or options. Samples of Implementation and Phasing matrices will be provided as well a current media costs for budgeting. Unit Nine - Evaluation and Pre-testing. This last formal unit is for you to consider how, when and where you will do evaluations, such as pre-testing exhibit panels or label copy, to be sure your objectives for that media are being accomplished. I like to be sure that you address your evaluation strategy so you don't forget how important this is for the long-term success in achieving the objectives of your interpretive plan and your agency/organization mission. interpretive plan in the future. Estimated time to complete this course is 48 hours+, but you can take your time if you are working on a planning project using the course as your guide. FYI - the average time to do an interpretive master plan for an average park, historic site, nature center, etc. is about 30 days - spread out over about 3 months allowing for research, reviewing drafts and then the final document.